Imogen's Typewriter. 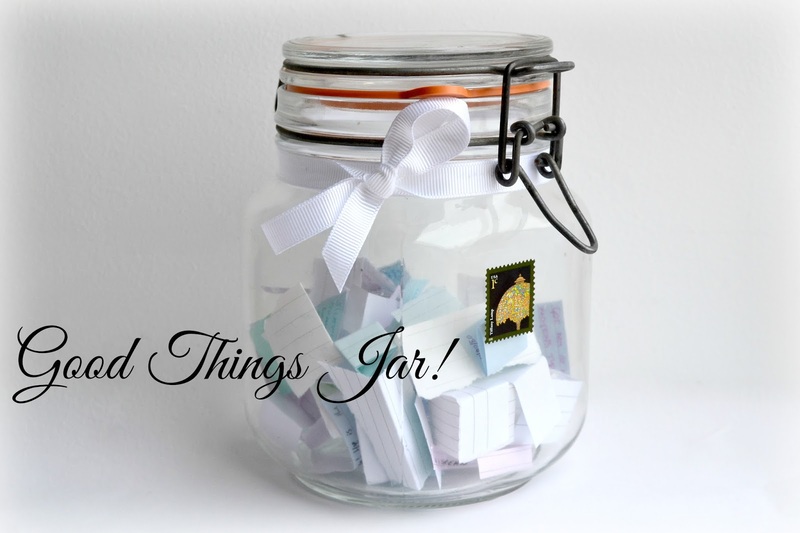 : Good Things Jar! 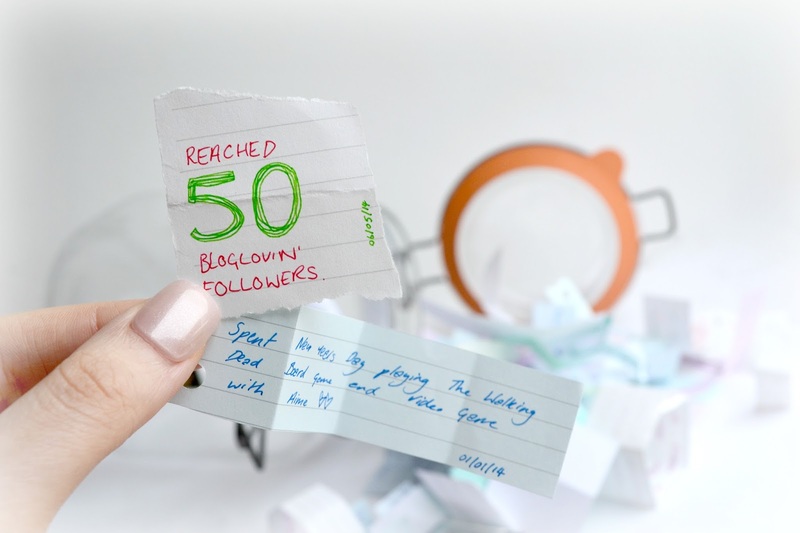 Todays post is about something I recommend everyone tries. I've seen these jars around on Tumblr and Pinterest but never made one until last year when I realised that writing down the good things that happen to you and putting them in a jar to remember was not only a lovely idea, but a really positive thing to do. Admittedly I was a little lax at remembering through the year and- in the least sad way possible- didn't have a huge amount to write, but I still had a really nice time reading through the memories. In 2015 I'm going to be better at remembering to write things down! I decorated mine simply with a white ribbon and Tiffany Lamp stamp! Most of the paper I used was just scrap. I think I'm going to use pretty colours in 2015! 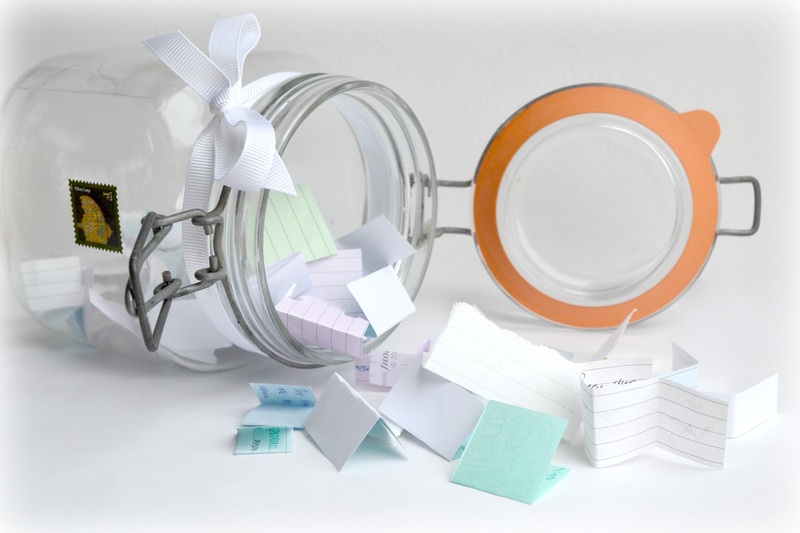 If you haven't started a Good Things jar for 2015, I really recommend it. It's a real pick-me-up on bad days and really lovely to look through when the year is over. Do you have a jar like this?